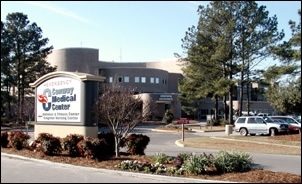 Conway Medical Center, located in Conway, South Carolina, offers technologically-advanced facilities and services and is dedicated to providing the Conway community with first-rate health care. The 160-bed hospital boasts over 200 specialized physicians and is certified as a Level II Perinatal Center and a Level III Trauma Center. Conway Medical Center is accredited by the Joint Commission on Accreditation of Healthcare Organizations. Conway Medical Center's many services include Diagnostics, Emergency and Urgent Care, Heart Center, Hospice, ICU, Laboratory Services, Long Term Care, Mammography, Outreach, Palliative Care, Pastoral Care, Pediatrics, Physical Therapy, Rehabilitation, Sleep Disorders, Subacute Center, Surgery, Telemetry, and The BirthPlace, a state-of-the-art maternity care center. In addition to these services, the hospital operates the Conway Medical Center Wellness & Fitness Center, which provides exercise equipment, classes, and health education programs to the community, and Kingston Nursing Center, an 88-bed nursing care facility. In response to growing patient and community needs, Conway Medical Center has plans to expand the hospital to provide even better care and convenience. The hospital hopes to add 50 new beds, bringing its total bed count to 210. Conway Medical Center aims to provide its patients with comfort as well as superior medical care and they are well on their way to accomplishing this goal.